It’s funny how your life changes. I never owned any soup books until the past 5 years or so. Now I have a growing collection that is getting out of control. I want ALL THE SOUP BOOKS! Truth be told, they’re not all great and many will probably be part of a future tag sale. But many will be part of my kitchen forever. 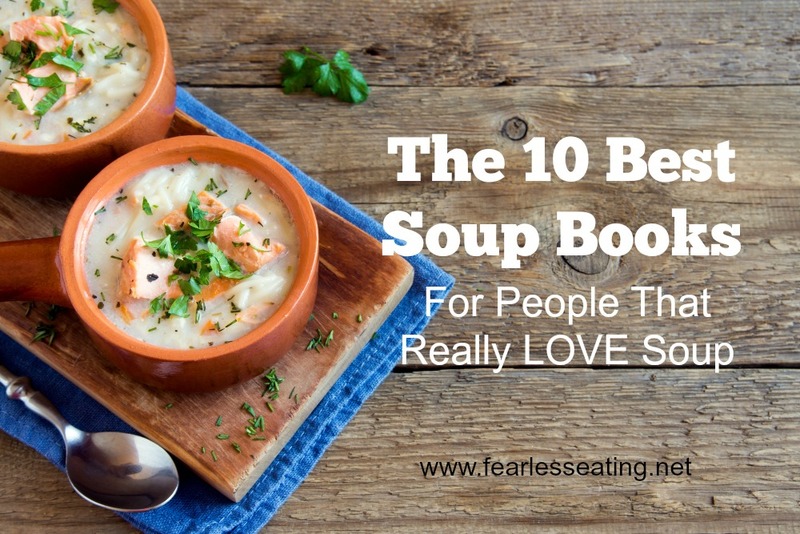 So now that it’s the holiday season, I’ve put together a list of my top 10 favorite soup books. 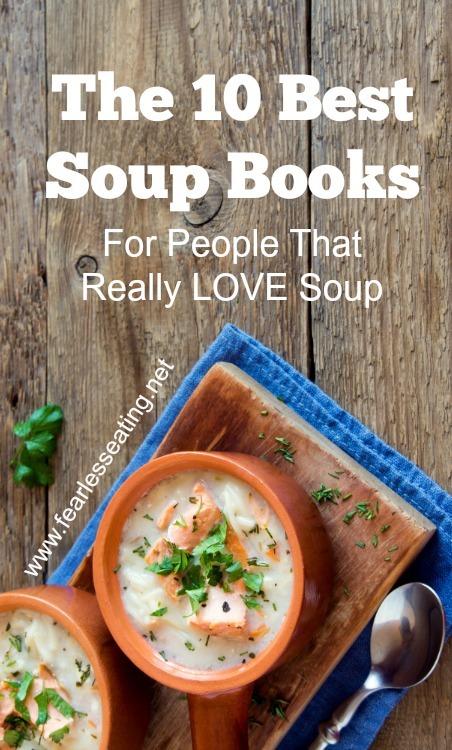 Update: In the year since I wrote this post, I’ve come across two soup books that are absolute gems and must be added to this list. So now we’re at twelve! One of them in particular is so fantastic that I’ve updated it to number one on the list below. But first, let me explain my criteria for what I consider to be a great soup cookbook. 1. They have to be from individual authors. I don’t like slickly marketed collections whipped up by some company like Williams and Sonoma. 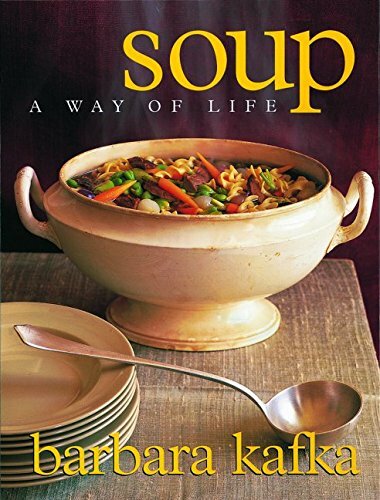 Those soup books always have great cover photos to entice you to buy them but they follow the same generic formula over and over. It goes like this: Pretty picture. Recipe. Turn the page. Pretty picture. Recipe. Turn the page. And so on. There’s no personality to them! Yes, I want good recipes and good photos are always nice but I also want to read about the author’s personal experience with the recipes. Teach me. Tell me about the history of the recipes, especially if they’re from a specific region of the world. Tell me a travel story. Make me laugh. Tell me about your grandmother’s cooking. Inspire me to make your recipes for reasons other than just pretty pictures. 2. A manageable amount of recipes. I don’t want 1000 recipes. I don’t want 500 recipes. Gimme 100 tops. Less is even better. Because let’s face it, I’m not going to make every recipe in the book and you’re not either. I’ve found that between 50-100 recipes is the sweet spot where I can experiment with a handful of recipes without feeling overwhelmed. 3. An emphasis on real bone broth. 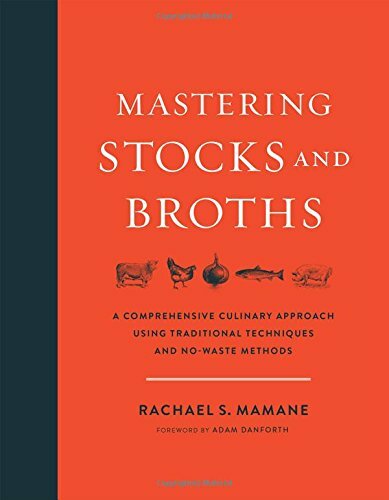 I want to see at least one chapter on the importance of making real broths and stocks, the foundation of any good soup. I want the author to explain why using real bones, vegetables and herbs bring out real depths of flavor and nutrients. Even better, I’d love to see the author condemn the use of commercial broth. If I find any recipes that use boxed and canned broths, you can bet the book will be part of a future garage sale. 4. An emphasis on tradition. Creativity is perfectly fine but I look for books that are rooted in a particular regional cooking style. with recipes that have a link to the past. Traditional recipes, with their native ingredients and time-honored techniques are often passed down for reasons beyond just their taste, such as their medicinal and nourishing qualities. 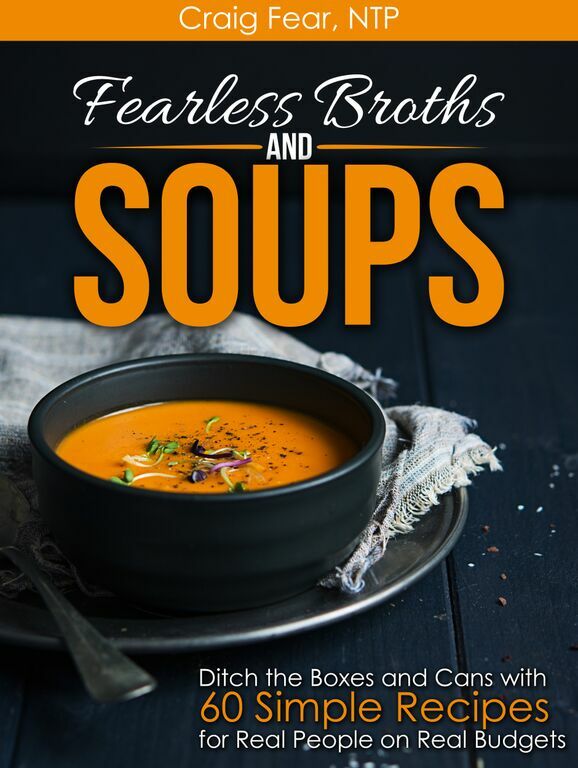 If you’re a soup lover, this book is pure gold. I consider it the ultimate soup book. Originally written in 1949 by master chef Louis P. De Gouy, it contains over 700 hundred recipes, many from old world European traditions. I realize this violates my second criteria above, but many are incredibly concise, without elaborate ingredient lists. 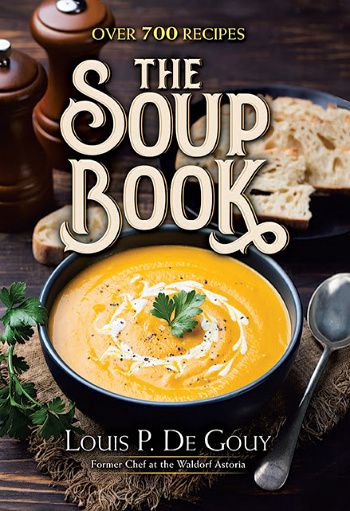 It has recipes for almost every type of soup imaginable – thin, thick, creamy, chilled, fruit-based, nut-based, wine and beer-based, veggie-based, meat-based, fish-based, chowders, bisques and stews. De Gouy is also a gifted writer who adds fascinating historical and cultural context to the recipes. It’s as enlightening to read as it is to make the recipes! I think this was the first cookbook devoted entirely to soups than I ever owned. And it’s a good one for sure with lots of classic and hearty cold weather soups. But my favorite chapter is the wonderful selection of chowders like Manhattan clam chowder, cheddar corn chowder, Boston fish chowder and of course, New England clam chowder. Not only great recipes for a variety of broths and stocks but soups too! Jenny McGruther knocks it out of the park with this beautifully photographed book chock full of traditional recipes like Yucatan-style chicken and lime soup, Galician pork and bean stew with greens, Irish vegetable soup and a Rhode Island clam chowder. The author, Amy Kimoto-Kahn, a fourth generation Japanese American, stays true to her Japanese roots with lots of traditional recipes but also shows you how easy it can be to make your own versions at home. 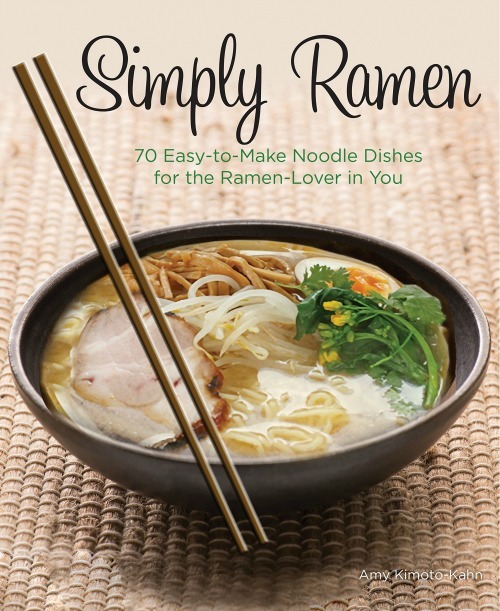 If you love REAL ramen soup (not the cheap packaged stuff), this is the book for you. Let’s keep the Asian theme going with my own cookbook! Yes, I wrote this one and I’m not going to be modest about including it here (or my other soup cookbook). 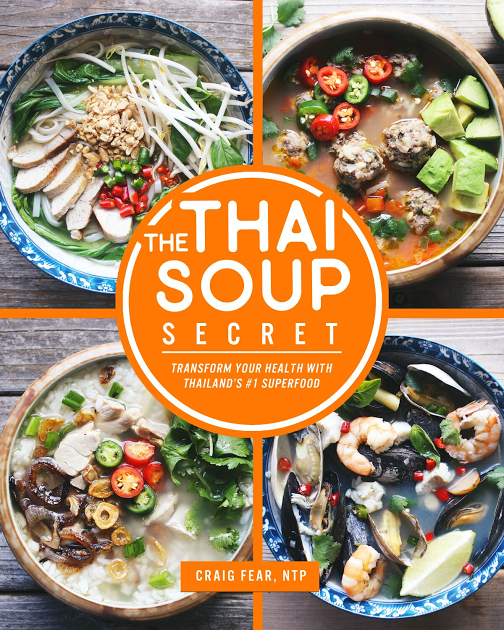 The book came out of my travels in Thailand and includes many traditional soups that you’ll never find in Thai restaurants. Of course, some of the more common ones are included too, such as Thailand’s two most famous soups, tom yum goong (hot and sour soup with shrimp) and tom kha gai (a coconut milk and galangal soup with chicken). If you haven’t figured it out yet, I really LOVE Asian soups. And I’m not sure there’s a more popular Asian soup than pho. 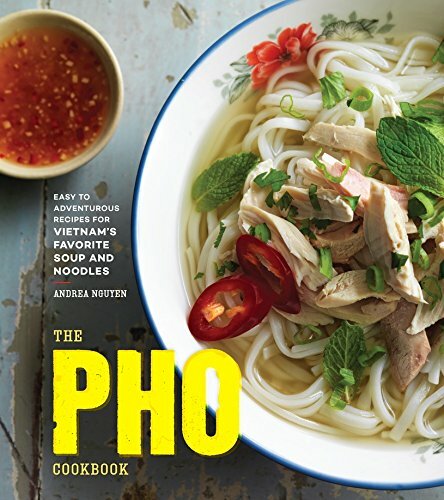 Vietnam’s most famous soup has many variations and styles and author Andrea Nguyen does a great job of presenting a variety of recipes for all skill levels. You can learn to make simplified versions that take less than an hour, versions using a pressure cooker or crockpot and the more traditional versions, slowly simmered for hour upon hours on the stove top. 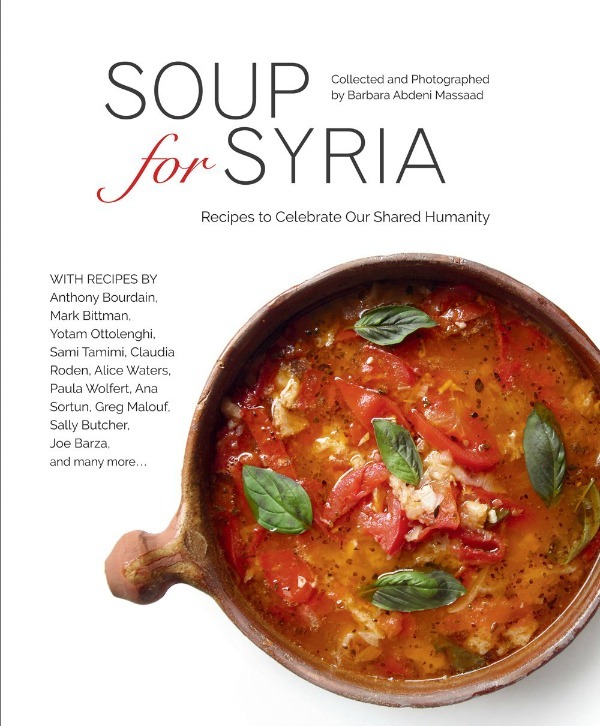 A soup book with heart and purpose, all of the proceeds from this book go to supporting the Syrian refugee crisis. The recipes span the globe but there’s an emphasis on Middle Eastern soups such as Persian bean soup, Turkish chicken and rice soup, Armenian cabbage soup and Middle Eastern meatball soup with vegetables. This is the most comprehensive book on broth ever published with an entire 100 page section on the known scientific benefits. But it’s still primarily a cookbook with dozens of great broth and soup recipes too. 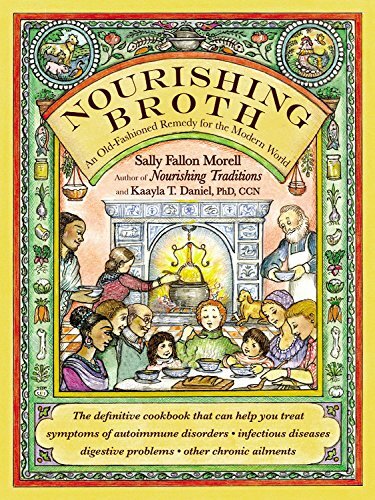 Nourishing Broth may be the most comprehensive resource regarding the health benefits of broths, but Mastering Stock and Broth is the most comprehensive regarding the more refined techniques that are used in professional kitchens. 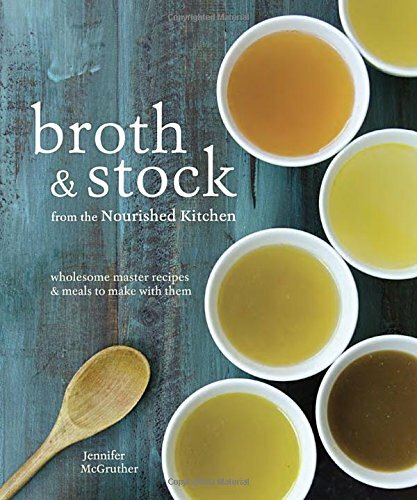 If you want to take your broth and stock-making skills to the next level, this is definitely the book to get. Lots of great soup recipes are included too. 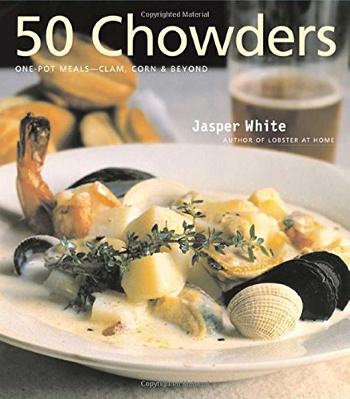 Author and renowned chef, Jasper White, shows that there’s A LOT more to chowder than just New England clam chowder. Dozens of recipes are include for different types of fish chowders, shellfish chowders such as mussel, scallop, shrimp and lobster, and farmhouse chowders made from a variety of vegetables. Every recipes is accompanied insightful “Cook’s Notes” that offer helpful tips and variations. I found this book in a used book store on Cape Cod and it’s really a gem. It’s quite extensive with over 400 pages of recipes, but they’re all clearly organized and most have only modest amount of ingredients. The author, Barbara Kafka, includes recipes from her travels as well as her upbringing in French, Jewish and Russian traditions. Yup, there I am again. That’s my first soup cookbook. I wrote it specifically for people with limited budgets and limited time. All the soup recipes are condensed into 3 simple steps. All of them! But they’re all delicious. 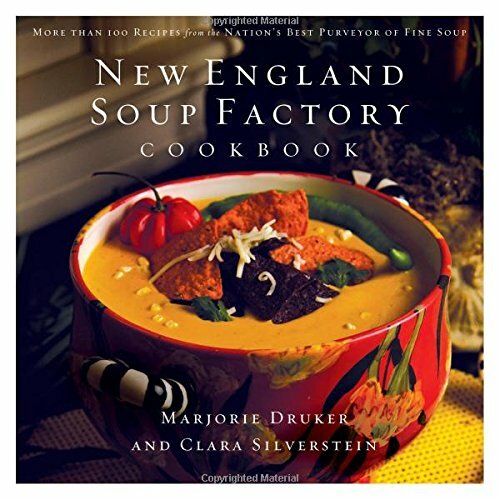 There are chapters on Asian soups (of course), creamy vegetable soups, seafood-based soups and meat-based soups. New to making bone broth and broth-based soups? Your FREE guide includes time- and money-saving tips, must-have resources and 15 simple broth and soup recipes. 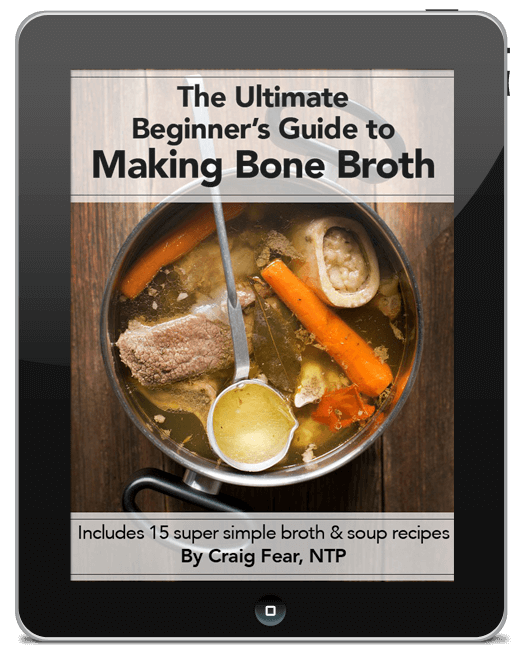 New to Making Bone Broth? Get started with today with simple recipes, time-saving tips and must-have resources for making delicious homemade broths and soups! 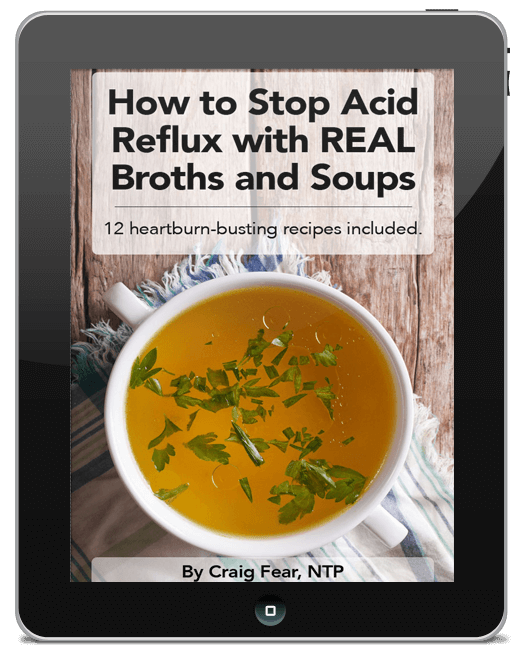 Learn to STOP Acid Reflux! And learn how an ancient, simple food is a much healthier and safer option to drugs. The little-known root cause to heartburn that the pharmaceutical industry doesn’t want you to know. Why popular OTC drugs cause long-term health problems such as bone loss and nutrient deficiencies. 12 heartburn-busting recipes to get started!